Muscle weakness- just tiredness or muscular dystrophy? Are you feeling weak and tired always? Have general body ache and muscular pain become a frequent reason for leaves at work? Do you get tired immediately after walking a few km? Is your baby not walking properly still at the age of 2 years? These are the questions which many people have in their daily routine. A mother may be concerned for her child’s delayed milestones. She may be anxious why her child isstill not walking properly when other children of his age have already started running. The child may have frequent falls while walking (called as ‘floppiness’). All these signs and symptoms should not be ignored. If one is experiencing them on and off and it has started interfering with your work, do not delay; visit a good neurologist immediately. This may be the stage 1 of muscular dystrophy! The most common cause in India especially in females is anemia (low hemoglobin). Other common causes and triggers may be low blood sugar levels (diabetes mellitus), high cholesterol (Hyperlipidemia), obesity, constant sun exposure, excessive physical exertion, low blood pressure (hypo-tension), sedentary lifestyle, respiratory diseases like asthma, thyroid disease, heart diseases etc. 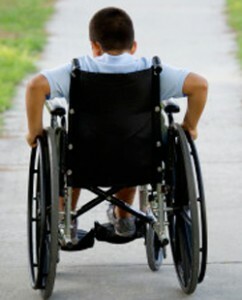 Muscular dystrophy is one such disease which is usually overlooked. It has been seen that very few people are aware of this disease and hence gets diagnosed late. What does muscular dystrophy actually mean? 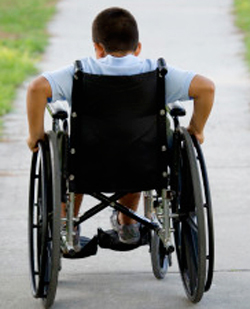 Muscular dystrophy is a group of disorders which causes progressive muscle weakness. Its affects the muscle strength and movement. Muscular dystrophies are usually inherited genetically, although any individual may suffer from it. Defective nutrition during pregnancy is another cause for congenital muscular dystrophy. The deficiency of dystrophin gene is responsible in triggering the disease. The basic fault is in creating the protein dystrophin by the muscles before birth. Many times muscular dystrophy does not reveal any significant symptoms at the beginning. Even if symptoms appear, they are often ignored by the patients. But one needs to be watchful if the symptoms keep on repeating frequently or increase in intensity. These features of muscular dystrophy will be a ready reckoner for you to refer. If you are experiencing any of these symptoms of late very frequently, its time to visit a neurologist and get yourself examined. Muscular dystrophy can be diagnosed and confirmed through investigations like electromyography (muscle graph), electrocardiogram (chest graph), muscle biopsy and other blood tests which include creatinine phospho kinase (CPK). These are some of the major and confirmatory indicators for diagnosing muscular dystrophy. Muscular dystrophy is a challenging disease to treat as it is always masked. Sometimes, it may get evident in routine investigations too. Leading an active life is the key to avoid such experiences. Nevertheless an active individual may also suffer from this disease. Avoiding sedentary lifestyle, eating natural foods and having a positive attitude towards life always helps you keep healthy and stay away from such dreaded diseases. Never ignore any weird sign or symptom your body shows. Pay attention to yourself and be a keen observer, as you never know a simple tiredness or weakness may be a sign of an underlying muscular dystrophy. – Dr Kanchan Gohil, Associate Doctor to Dr Rajesh Shah, Team LifeForce.